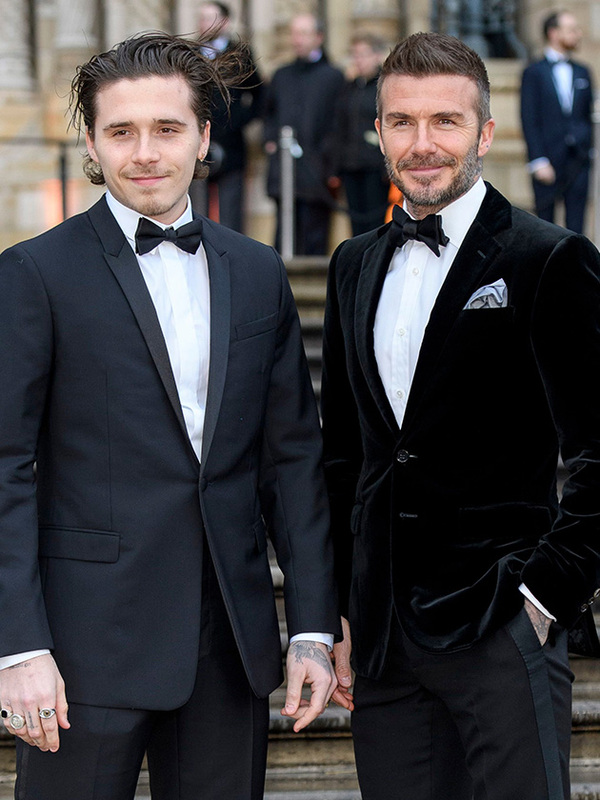 David Beckham and eldest son Brooklyn stepped out side by side at the London premier for Netflix’s Our Planet last night, looking dapper as they sported matching black tuxedos. 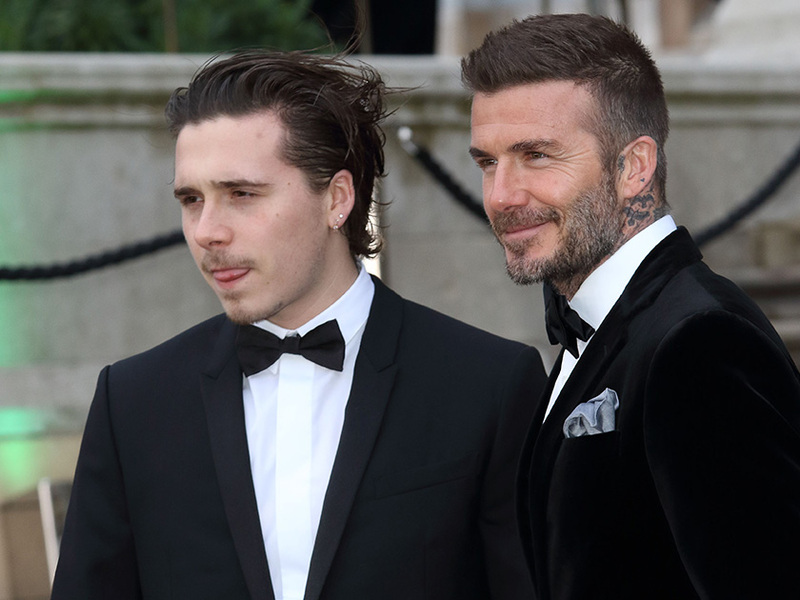 David, 43, and 20-year-old Brooklyn also flashed a glimpse of their coordinating hand tattoos as they stood side by side on the red carpet. 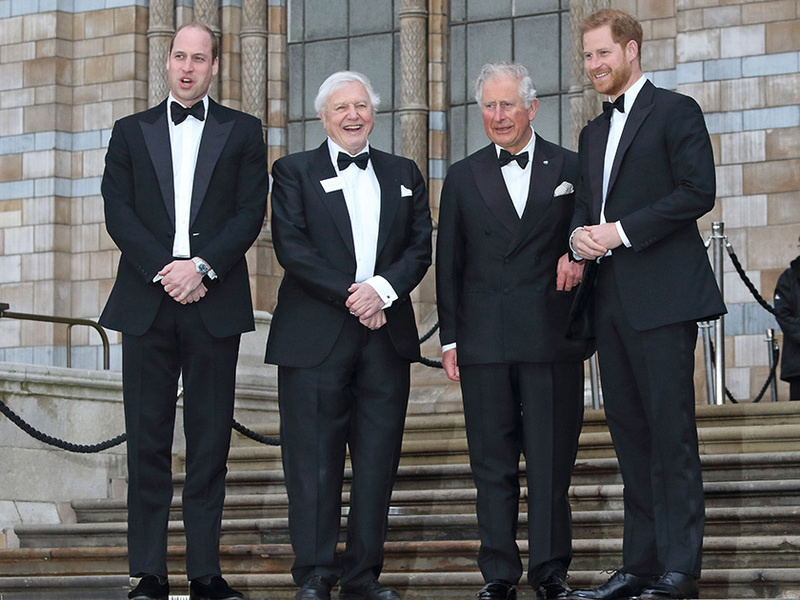 Once inside the event, the pair were photographed greeting Prince Charles, 70, and Prince William, 36, smiling as they chatted to the royal father and son. The glitzy party was also attended by dad-to-be Prince Harry, 34, while pregnant wife Meghan Markle, 37, stayed at home. David – who also shares Romeo, 16, Cruz, 14, and Harper, seven, with wife Victoria – took to social media later that night to share some snaps from the event with fans. 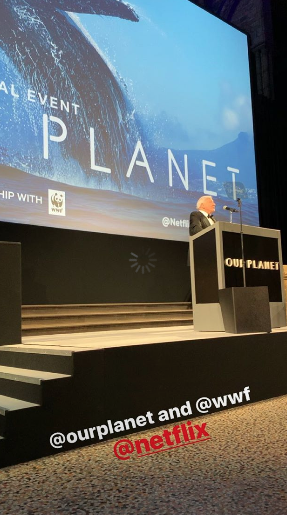 In one photo, the footballing legend and son can be seen standing beside 92-year-old Sir David Attenborough, as the three posed for a photo.